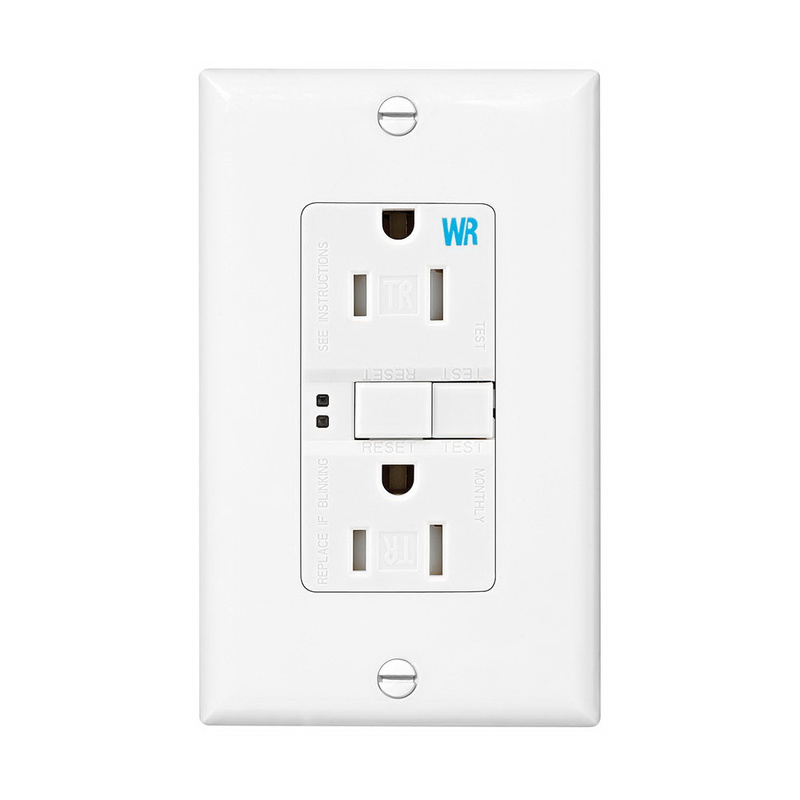 Cooper Wiring Device Arrow Hart® 2-Pole 3-Wire Weather & tamper-resistant self-test GFCI duplex receptacle in white color, has voltage rating of 125-Volt AC and current rating of 15-Amps at 60-Hz. It has short-circuit current rating of 10-Kilo-Amps. The specification grade receptacle accommodates #14 - #10-AWG conductor. It features back and side wired terminal connection for easy installation. It has polypropylene top housing and PVC bottom housing. It has thermoplastic face and back body. It measures 4.2-Inch x 1.68-Inch x 1.27-Inch. The receptacle withstands dielectric strength of 2000-Volts. It has brass contact for optimal conductivity and zinc-plated steel strap. It withstands temperature range of -35 to 66 deg C. The automatic receptacle has NEMA 5-15R configuration. It is suitable for use in public bathrooms, breakrooms and food service areas. It has V-2 per UL94 flammability rating to withstand harsh environmental conditions. Self-test GFCI duplex receptacle is UL listed, CSA certified and meets NEC standards.